This week I’m at the Sage North America annual customer and partner conference. This educational event brings together over 4,000 customer and partners for five days of technical briefings and educational settings. 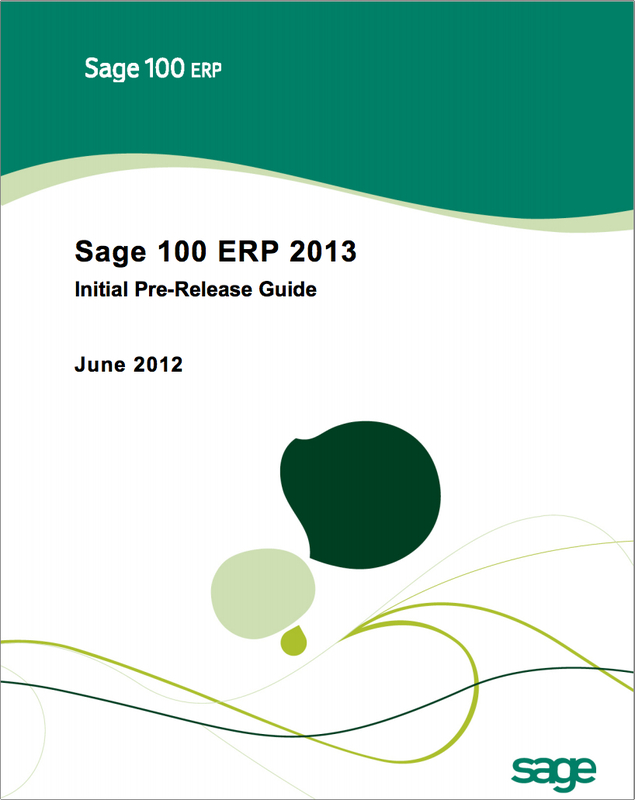 The next version of Sage 100 ERP was previously referred to as version 5.0 and will instead be known to as version 2013. Tasks launched from CRM don’t use a ERP license – expect there may be a “millisecond” where a license is confirmed and released. 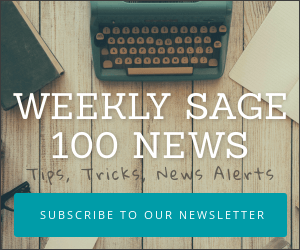 Most SageCRM integrated to Sage 100 ERP users will no longer have to purchase additional Sage 100 ERP licenses for salespeople (Note: SageCRM licenses are still required). Accounts Receivable customers and Accounts Payable vendors may now be made inactive. A new security role has been added to indicate whether a user should be able to override and use these inactive records to specific tasks such as cash receipts. Paperless Office now allows for use of smtp email accounts such as Gmail which require SSL login. Credit Card processing (integrated) will be replaced by Sage Exchange. This will require all existing credit card data to be uploaded to the Sage vault and removed from Sage Accounts Receivable. No credit card data will be stored within Sage 100 ERP. The only credit card processor supported by Sage 100 ERP 2013 is Sage Payments. These are a small listing of the enhancement expected to be in Sage 100 ERP 2013. Remember that features can change prior to the official release date. Sage have just released their initial pre-release guide to the new features expected for Sage 100 ERP 2013 – Standard, Advanced and Premium editions. This version, also referred to as version 5.0, is due via electronic download (extra fee for disks) in a beta format starting approximately October 2012. The general availability and early adopter customers can expect delivery about November 2012 with general availability planned for December 2012. As with all information about pre-release software – features (and timing of release) are subject to change without prior notice. The Sage 100 ERP 2013 release (formerly Sage ERP MAS 90 and 200 5.0) will focus on providing compelling value to existing customers, generate interest in the marketplace with new connected services and add-on solutions, and continuing to offer more deployment and pricing options. Substantial value will be provided to existing customers by addressing their top enhancement requests, Auto Updates for easy application of Sage 100 ERP Product Updates, enhanced Credit Card Processing using Sage Exchange, and more. The main features and functionality enhancements in Sage 100 ERP 2013 will be in Accounts Payable, Bank Reconciliation, Inventory Management, Paperless Office, Sage CRM, and enhanced Credit Card Processing though Sage Exchange. Accounts Payable Invoice Numbers will be expanded, customers and vendors will be able to be designated as Inactive, Paperless Office will be able to utilize public email servers, and enhancements will be made to the Inventory Maintenance screen. Multiple ERP companies will be able to be aligned to a single CRM database, and Quick Order Entry screens will enable Sage 100 ERP quotes and orders to be processed in the familiar Sage CRM environment These customer-requested features and functionality were obtained through various feedback and evaluation methods, including the Sage customer enhancement request website and user surveys. Both new and existing customers will find immediate benefit to their business operations from the enhancements in Sage 100 ERP 2013. We strongly encourage customers running older versions of Sage 100 ERP to schedule their 2013 upgrades shortly following the release, so they can begin utilizing the enhancements and the business benefits outlined in this document.